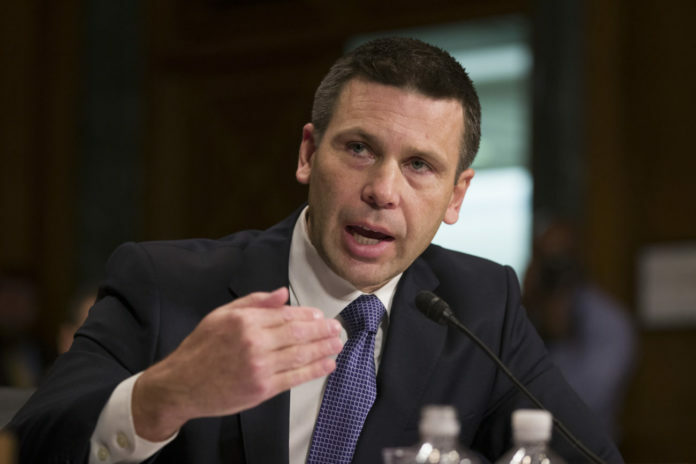 U.S. Department of Homeland Security Acting Secretary Kevin McAleenan will be in McAllen late this evening for a tour of the border and to visit the immigrant respite center in town, according to a DHS news release. McAleenan will also tour the respite center in McAllen, which is operated by Catholic Charities of the Rio Grande Valley and is currently in search of a new home after residents living in the vicinity of the 209 W. Hackberry Ave. facility lodged complaints in January. A roundtable discussion with local mayors is expected to follow before the acting secretary meets with officers and agents from U.S. Customs and Border Protection and U.S. Immigration and Customs Enforcement.